Born in a poor family did not stop the young and ambitious, Ghulam Hassan Fakeer to grew up with big dreams. His father is a farmer and is the only person in the family who is earning enough to fill their stomach. Eventually with the financial pressure, he had to drop-out from the college and discontinued his education. It was during the mobilization drive near his village that he came across Don Bosco Tech Society and skills training opportunity to the youth like him. He became interested and motivated on learning the fact that the trainees were provided job placement upon successful completion of the three months training in Retail Sales, Bpo and Hospitality. Knowing that the trainings are further supplemented with the Basic English and Computer Skills all free of cost was a big bonus for him. Without losing any time, Ghulam Hassan finally enrolled himself at Don Bosco Tech Society – Himayat centre at Budgam in Hospitality domain. From the very first day of the training, the trainers found Hassan very keen in knowing more about computers and gradually his communication skills grew to a much higher level. He worked hard through out his training excelling in the trades of hospitality. Finally after three month of intensive training Ghulam Hassan finally graduated in a flying color and secured a prominent job in one of the best restaurants in Banglore namely “Barbeque Nation”. Talking to Ghulam Hassan’s father, he seemed very much happy and thankful to Don Bosco Tech. He said he never wanted his son to leave studies but now he thinks he could never get a better opportunity than Don Bosco Tech. 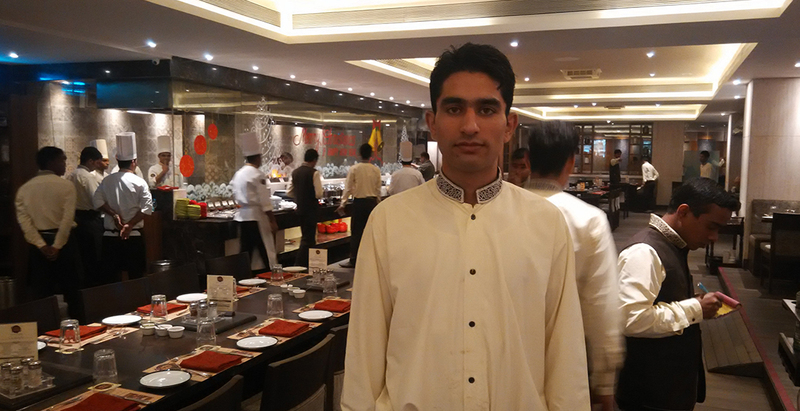 Hassan started his career in July 2014 as Guest Service Associate in Banglore with salary package of Rs 6200. Today after more than a year, Hassan is working as a Senior Captain in Barbeque Nation at Hyderabad with handsome package of Rs. 16000 per month. He shares most of his salary with his family members.